If you’re looking for a golf course in Lakeland, Florida, then be sure to check out the courses at Cypress Lakes. We offer 36 holes of play that are designed for golfers of all abilities to enjoy. With a fully-stocked pro shop, golf instruction from a PGA pro, and a full restaurant and bar on site, hitting the links at Big Cypress Golf Club makes for a great day. 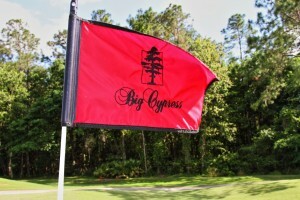 At Big Cypress Golf Club, we have two professionally designed courses that wind through our residential development. The Big Cypress North Course is an executive length, par-60 course designed by noted golf course architect Chip Powell. The Big Cypress South Course is a longer, more challenging par-72 golf course. Both are open to the public, but Cypress Lakes resident-members receive priority tee times and other perks. Retirees who love to play golf couldn’t ask for a more heavenly place to live. To learn more about the other amazing things that set Cypress Lakes apart from other golf course communities in or near Lakeland, FL, contact one of our friendly Lifestyle Consultants today.